To my shame, I knew next to nothing about Ham Hill until it appeared on the news a couple of weeks ago. Turns out it’s by far the biggest Hill Fort in the country, and it’s day-trip distance from our house. 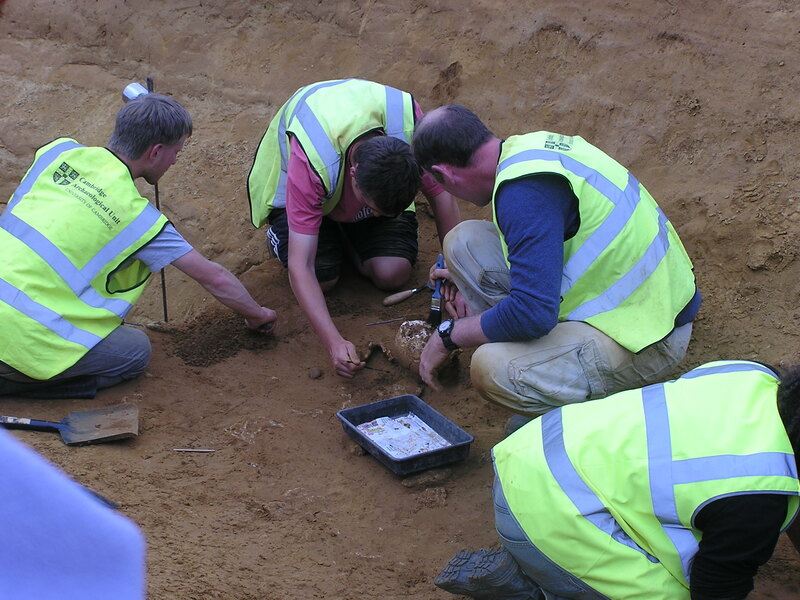 So last week, prompted by this link sent by a couple of kind readers, I abandoned the desk and headed over there to catch the site tour on the final day of the dig. 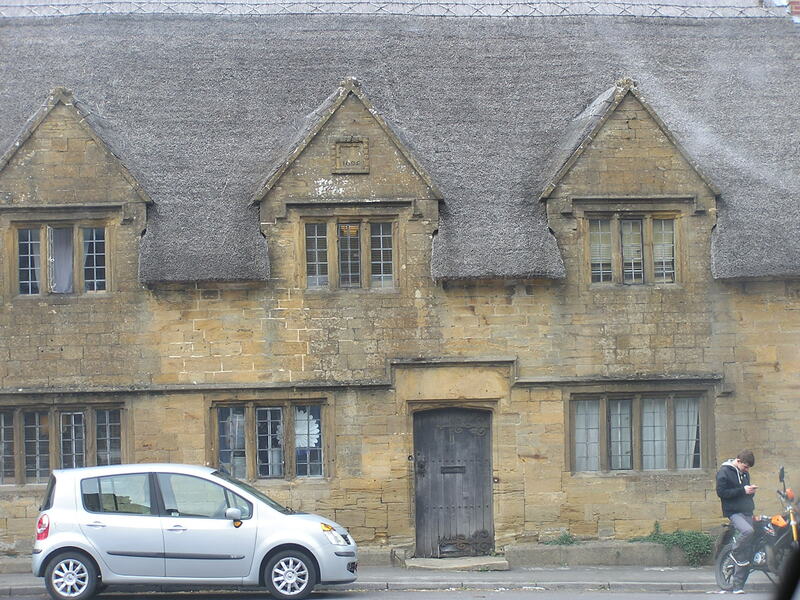 For proper pictures and text written by people who know what they’re talking about, I recommend the official website… but these are the photos that came back to Downie Towers last Thursday. There is no ‘establishing shot’ of the hill because it’s too big – the ramparts are almost three miles long – but here’s one of the main digging area. 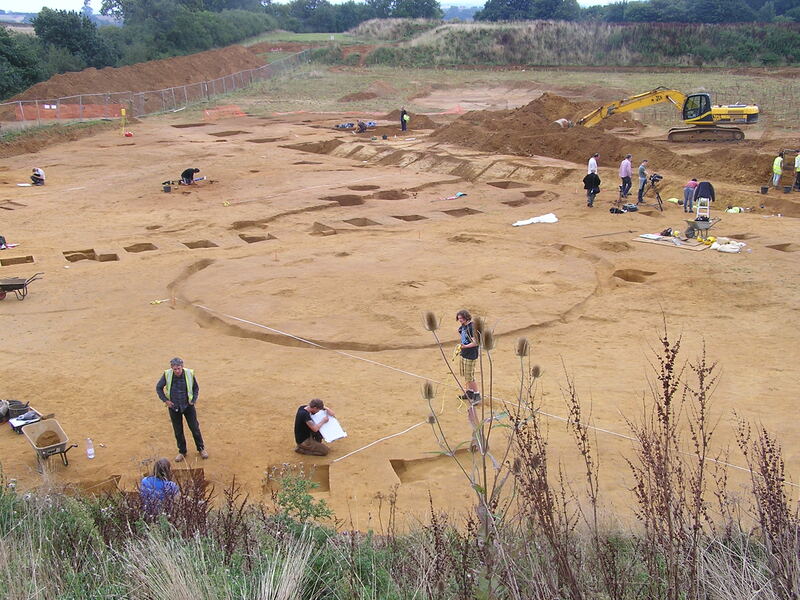 The circle is the ‘drip channel’ for rainwater around an Iron Age round house. As the old joke goes, “A large hole has appeared in the ground. Police are looking into it”. 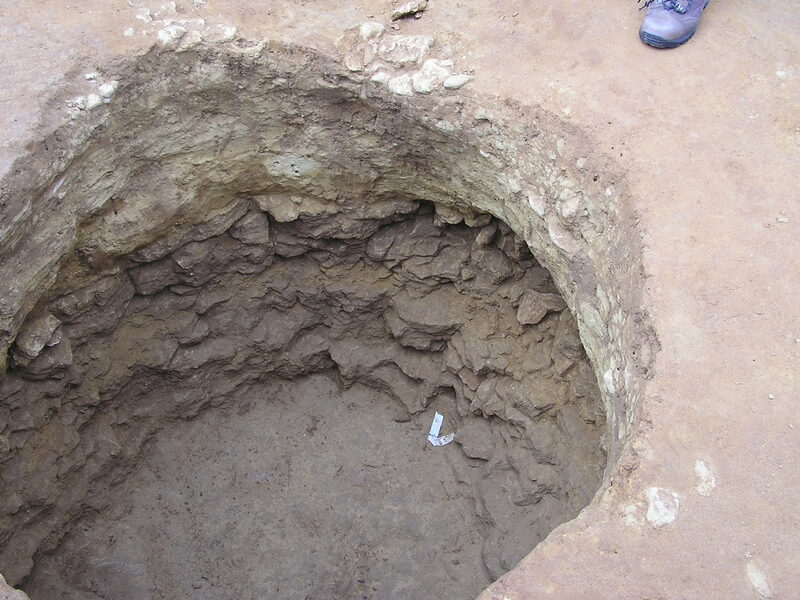 Or in this case, visitors, who are learning that these pits were probably created for grain storage. I’ve heard of these things but never seen one before. It’s said that if you fill it with grain and seal the top with clay, the grain on the outside sprouts in the damp and the carbon dioxide thus produced preserves the grain in the middle. 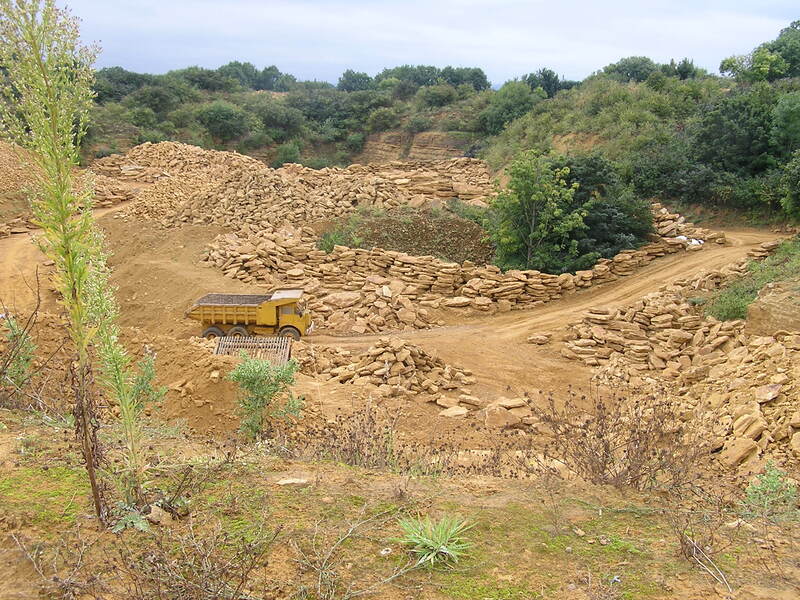 That’s the theory, but by the time the archaeologists got to the pits on this site the grain was long gone: they had been back-filled with earth in antiquity and had odd items in them that appeared to be offerings. Two contained curled-up skeletons of young women. As I said, Iron Age burial practices are a mystery. 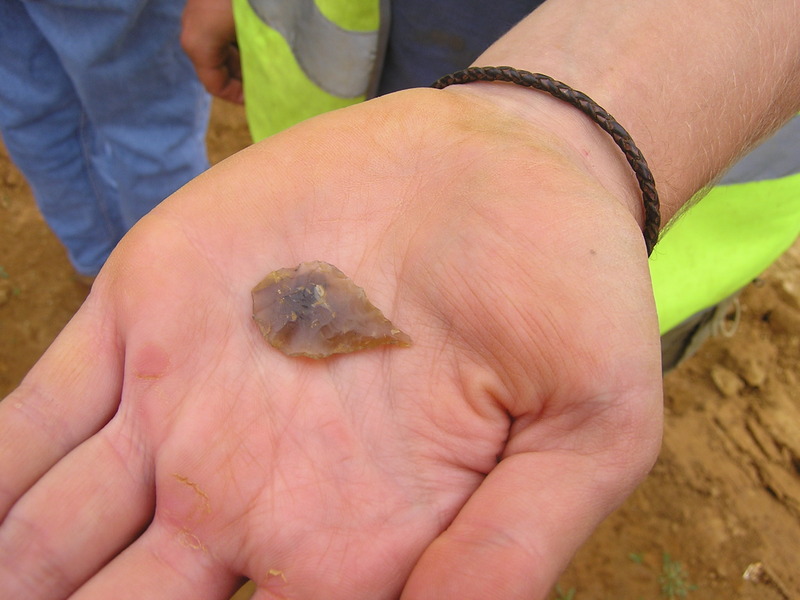 Ham Hill has been inhabited for thousands of years, and this beautiful flint arrowhead would have been ancient even in the Iron Age. 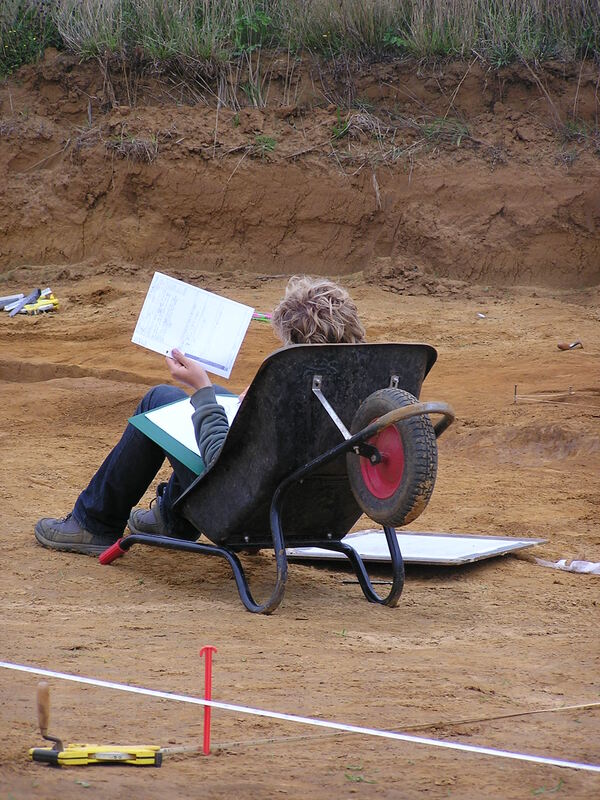 Modern archaeology involves a lot of paperwork. Below: another day at the office. …so it’s all in a good cause. Many thanks to the Ham Hill excavators for a fascinating tour, and here’s the link to the ‘proper’ website again, where you can find out lots more. v exciting – thanks for sharing! !